OK…wanna know a secret about me? Just between you and me…are you ready for this? 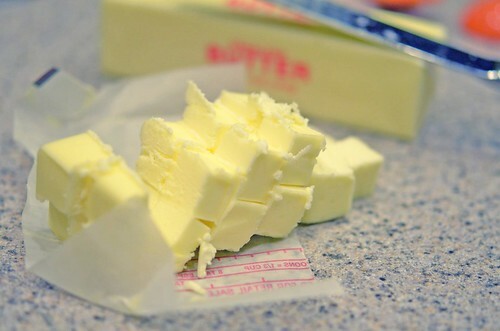 I don’t like the taste of butter. It’s true. I never have. I never will. Don’t get me wrong, it’s amazing stuff when it is combined with sugar and flour and baked in a 350 degree oven…I wouldn’t bake with anything but the real stuff, but when it comes to day to day use…nope. No butter for this gal. I do not like it on crab legs. I do not like it cooked with lemon juice and disguised as a lemon butter sauce. Gross. I do not like it on bagels. I do not like it on mashed potatoes. I do not like it on baked potatoes. I do not like it on my peanut butter and jelly sandwiches – dad. I just do not like it. Buttttt…, yes there is a but. Always an exception to the rule. Wanna know my exception? Corn. In any form. It doesn’t matter – on the cob, off the cob, stone ground…. Corn + butter = phenomenal. And I don’t tiptoe around the butter when it comes to corn, oh no….I make up for lost time. I slather. Corn on the cob, butter is dripping off my chin and elbows. My corn muffins are frosted with butter. It is disturbing. It’s heart clogging. It’s delicious. 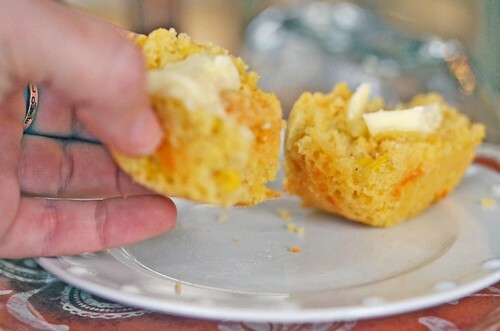 A simple corn muffin is probably my favorite muffin. My brothers and I were raised on the Jiffy corn muffin mix and even to this day, I could place a bet that my mother has at least 2 boxes of the stuff in her cupboard just in case there is a craving for corn bread…which there may be, in which case, she will be well prepared. This has happened in my family…a unanimous craving for cornbread. We are a strange group. 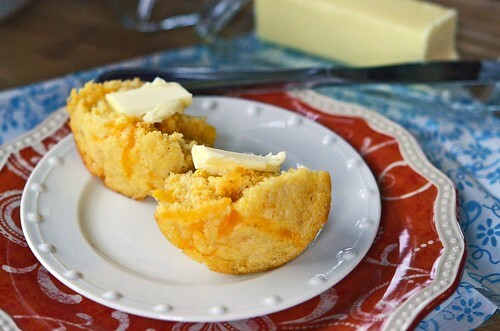 These muffins aren’t from a box, but almost as simple to throw together, and dare I say it, way better?!? 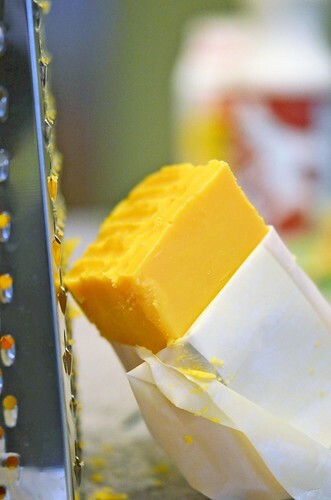 (sorry Jiffy, you will always have a soft spot in my heart…) With the addition of corn kernels and sharp cheddar cheese…there is just no comparison. I post this blog days before Thanksgiving with hopes that you are still looking for ideas and inspiration for the big day. Make these. They are simple and delicious…exactly what you need during a day that is a whirlwind. A tasty whirlwind, but still a whirlwind. In a large mixing bowl, whisk together the corn meal, all purpose flour, sugar, baking powder, baking soda, and salt. Set aside. In a smaller mixing bowl, whisk together eggs, milk, buttermilk, and corn. Pour the wet ingredients into the dry ingredients and mix until just combined. Fold in the melted butter and cheese. Fill each muffin cup about 2/3 to 3/4 of the way full and bake in preheated oven for about 10 to 12 minutes, or until toothpick comes out clean. They will be lightly golden brown. Remove from oven and let cool for 5 to 10 minutes before removing them from the muffin pan. 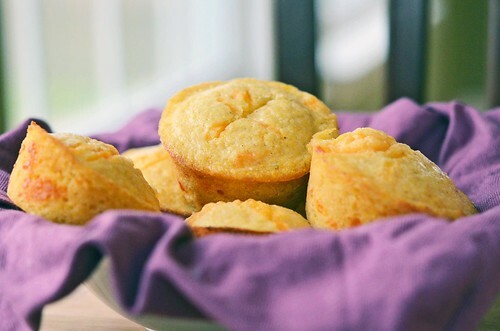 If you prefer cornbread instead of muffins, then grease a 9 x 13 pan and pour batter into pan and bake for 15-20 minutes or until golden brown. Best straight out of the oven, but can be stored in an airtight container and will remain fresh for up to 3 days.